We are lucky to have such a wealth of fantastic regular activities for babies and toddlers and their parents/carers in and around Bishopston. Many such activities are provided by volunteers at local churches. One such church is Cairns Road Baptist Church – you may remember reading my recent post about Cairns Cafe and its cakes! However, on today’s post I wanted to write about all of the other regular baby and toddler activities that are held at Cairns Road Baptist Church in term-time as I know a lot this will be of interest to many of you who have young children. This group is for toddlers and their parents/carers and includes lots of craft activities, toys, a story and songs. It is £3 per family per session and is held on Tuesday mornings at 9.45 – 11.15am. This is a drop-in group for bumps, babies, crawlers and cruisers. Here, you can enjoy sensory play with your little one as well as drinks, cake and an opportunity to meet other parents with young children. Each week Baby Club has a different theme. It is £3 per session and is held every Tuesday afternoon at 1 – 2.45pm. For more information about Baby Club, please email Annette on office@noahsarkps.org.uk . This group meets every Friday from 9.30 – 10.15am and is for parents/carers and babies and young children. It offers music, movement, singing and fun and is £3 per family. There is sometimes a waiting list for this group so please do email office@noahsarkps.org.uk before coming along. Childminders are not left out in Cairns Road Baptist Church’s regular activities! On Thursdays from 9.30 – 11.15am, a Childminders group meets. This group provides toys and play activities for young children while at the same time an opportunity for childminders to gain support and share knowledge with each other. This group is for parents with young children to meet other local parents in a quiet environment as well as having a play with their children. Meeting Place is held every Thursday from 1 – 2.45pm and is £3 per session. Just in case you didn’t read my post about Cairns Cafe and its activities, Cairns Cafe is open on Mondays and Wednesdays from 9am – 2pm and on Fridays from 10.15am – 2pm and is free entry. 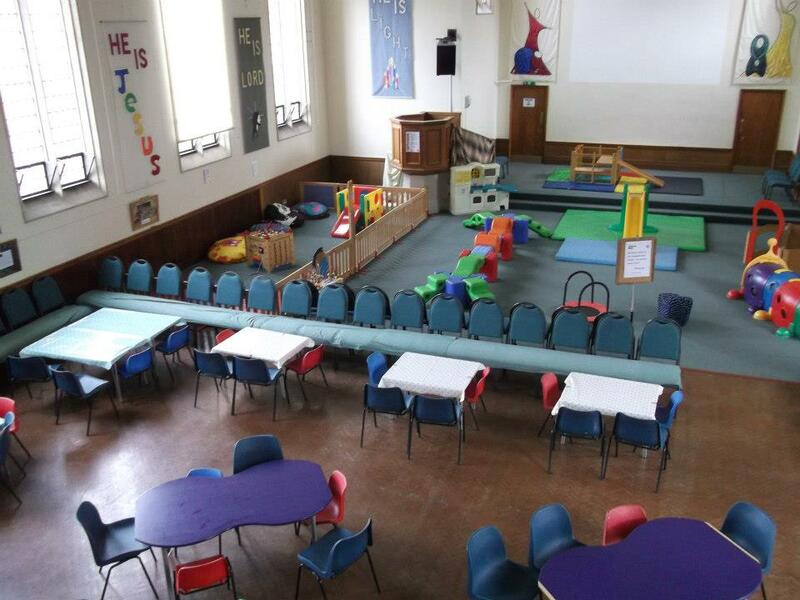 Aside from the cafe and the delicious fresh snacks, cakes and healthy kids lunches, there is climbing apparatus, books and an area especially for babies and crawlers. I hope you found this post helpful. To find out about all the other great activities for babies and toddlers and their parents/carers in and around Bishopston, please do have a look at the Bishopston Mum Baby & Toddler Timetable.